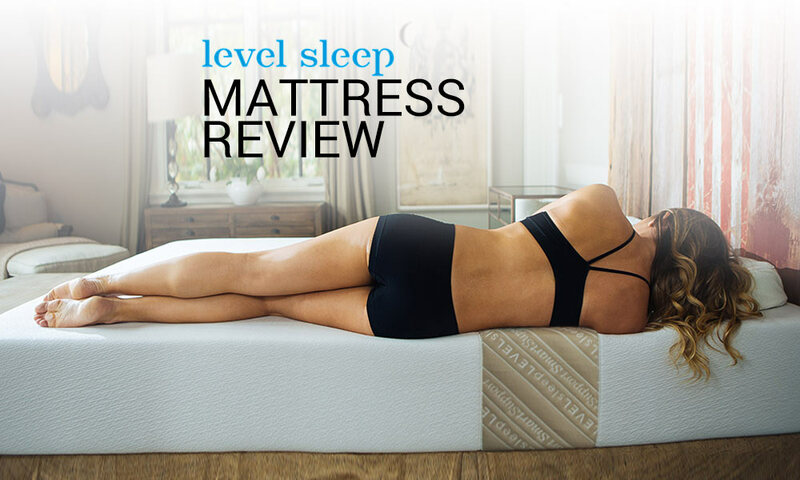 Level Sleep’s goal with their TriSupport Mattress was to create a soft memory foam bed with good support. The typical problem with memory foam is the lack of lower back support. Many customers with back issues choose innerspring beds because they need the strong foundation. Level Sleep wanted a way to offer good support and still give the soft memory foam feel. Read our Level Sleep Mattress review about the TriSupport bed and see if they succeeded. Three unique areas that work to provide an idea sleep firmness. Each mattress we review sets out to solve the comfort/support issue differently. The creators at Level Sleep decided to divide their mattress into three separate sections. A softer head and shoulder area, a medium firmness hips and legs area, and a firm lower lumber zone. There is also an option for customers to upgrade to the Luxe version which as a top layer of latex for that extra bounce. Because of the unique nature of this bed, it ‘s hard to give it a standard firmness. The head area is a softer Talalay latex that allows the sleeper’s shoulder and arm to sink into the bed. The softness is ideal for side sleepers who need the softness to reduce the pressure on their shoulders. The lower lumbar area of the back is the firmest part of the Level Mattress. This firmness gives support to the sleeper’s back much like ergonomic chairs. The hips and legs portion of the mattress is a medium firmness. While not as soft as the shoulder area, the hips can sink comfortably into the bed. It may sound gimmicky, but sleepers will notice the extra support in the lower back. We were worried that the three different areas would make for an awkward sleep, but they transition smoothly between each other. The Level Sleep Mattress has different levels of sinkages. If you press your hand into the top part, it is very soft. Sleepers will notice that their shoulders will sink a good amount into the mattress. The middle lumbar area is quite firm and doesn’t sink much. The hip area is more of a medium level, splitting the difference between the top and lower back. For our Level Sleep Mattress Review we focused on the Luxe mattress. The TriSupport Luxe bed comes with a thin layer of latex foam on the top. 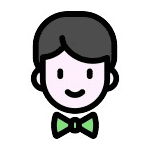 Latex is more responsive, meaning if you press down on it goes back to its original position faster. This response means moving around on the bed is easier. Memory foam is much less responsive, taking much longer to return to its original position. The benefit of this is a great deal less horizontal movement between the sleepers. The goal of any mattress is to have very little horizontal movement, while still having high responsiveness. The level sleep performed almost exactly how we expected for a memory foam bed with a latex top layer. There is some bounce, but not as much as you would expect with spring mattress. There was a small amount of motion transfer, but still a bit more than sleepers would find with a full memory foam bed. We do recommend hot customers go for the Luxe version of the Level Sleep mattress. The top latex layer is essential for pulling heat away from the sleeper. Full memory foam beds tend to trap heat near the sleeper. We have yet to open a bed in a box that didn’t have a little smell when first opened. The Level Sleep is the same way, but the smell dissipates pretty quickly. All mattress materials are CertiPur-US certified. The TriSupport mattress is designed for customers who experience lower back pain. The Lumbar zone of the bed stays firm while the shoulder and hip areas can be softer. A lot of sleepers like the softness of memory foam, but are lacking the needed support. The Level Sleep is the solution with its firm lumbar support and soft shoulder and hip areas. Make sure to get the Luxe version that has the top latex layer. Latex has millions of little air pockets that help transfer heat away from the sleeper. The Breakdown of the Sleep Level Mattress is a bit different from usual. Instead of moving down through the mattress, we are moving horizontally. Sleep Level calls this the LEVELsoft Talalay latex zone. 3″ of soft and comfortable, side sleepers don’t need to worry about their arms falling asleep. This is the LEVELfirm Talalay latex zone. A similar 3″ of firmer latex that provides ideal lower back support for side, back and stomach sleepers. The LEVELmed Talalay latex zone. The medium soft area that provides support for the hips. A 7″ high-density foam base that provides the support for the layers above. The Queen version of the TriSupport Luxe Level Sleep will cost users $1,899. This price is higher than other beds, but the TriSupport isn’t for the typical mattress buyer. We predict this mattress will target customers who have tried a few beds but can’t find the needed back support. Let us know what you think about the price in our Level Sleep Mattress review comments section. We are working to bring our readers some Level Sleep promo codes. Make sure to keep checking back as we will update this page with the latest discounts. For now, customers can get Free Shipping on the Level Sleep Mattress. The Level Sleep mattress uses three areas of firmness to give a comfortable sleep with the needed support. Sleepers will feel a noticeable support in the lower back area with this bed. The head and should area is much softer and does provide a comfortable feel for side and back sleepers. The Level Sleep is for customers who need good back support but are looking6 for a memory foam feel. Try the Perfect Pressure mattress and topper for back and thigh support at almost half the price.